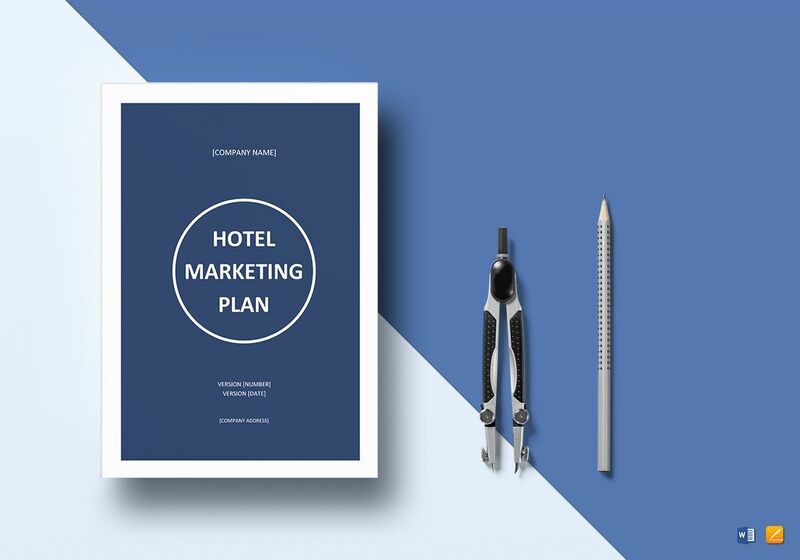 This sleek blue and white hotel marketing plan template is easy on the eyes and effective in its purpose. 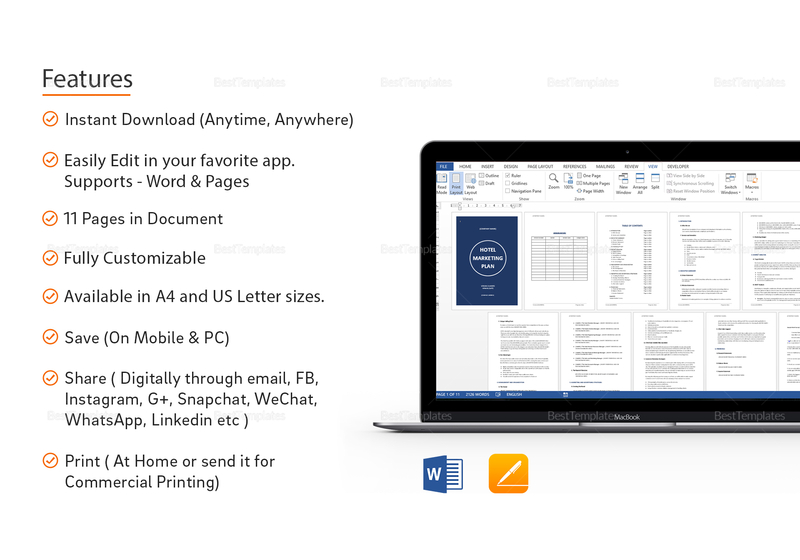 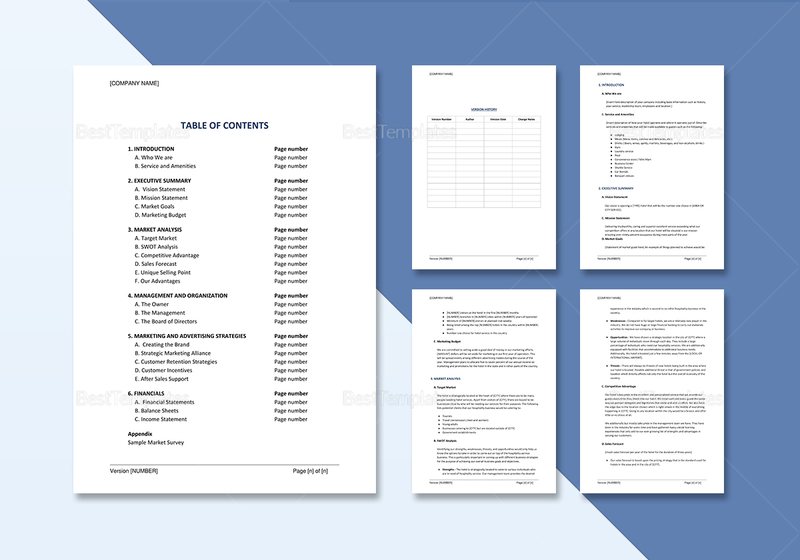 Fully customizable and easy to download, this multi-page document makes it easier for business professionals to get their point across the board during meetings and presentations. 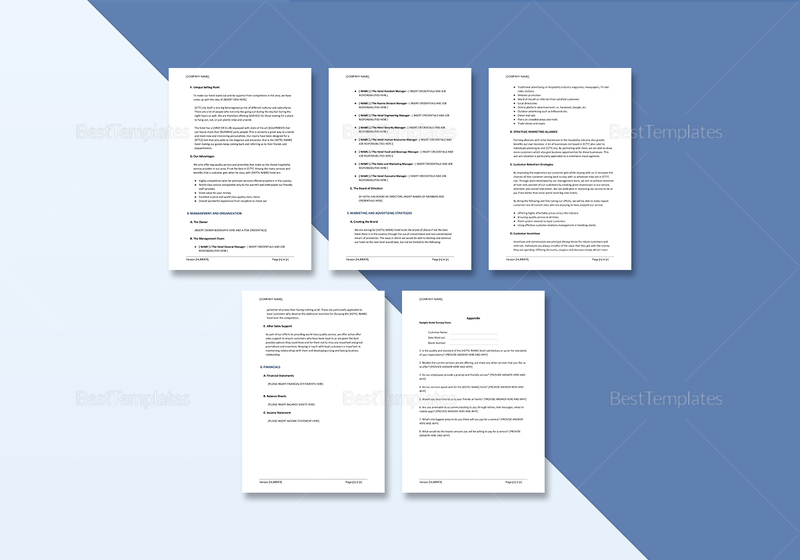 Available in different file formats, impress your boss with the help of this easily editable template now.